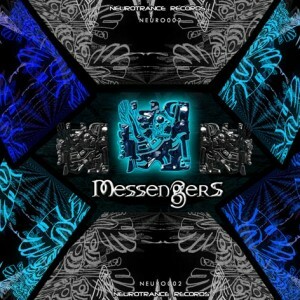 Neurotrance Records proudly presents Messengers, a sonic tonic for everyone lost in the routines of city living. Compiled by Erofex, this conceptual release features dark and driving psytrance from the South American underground. Through the use of rippling bass lines, electric leads, hypnotic atmospheres, and numerous spoken samples keyed to the theme of the release, these producers seek to convey a message about preserving the essential qualities of life in spite of the darkness of the material world. MP3 Download | WAV Download · Download count: 20,813. Messengers is available under a Creative Commons licence. Be sure to also check out Andes Trip, the first release from Neurotrance Records, now available in lossless WAV format! finally i founnd something i can relate with,thanx you guys 4 this gift.i have not gone through all the material thouroghly yet . am so looking 4ward2it. Thanks to Ektoplazm for the support and thanks for all comments that are comming for this work we are working for a new compilation that is going to be ready very soon …. lets dance and smile amigos! enjoying it very much. keep up the good work and already looking forward to the next compilation…. CONGRATS TO ALL !!!.. this compilation has quality to rock the dancefloor…. keep up the good work.. totally worth it! THx to all for your support. very soon the new VA From Neurotrance Records Psyinvasion Compiled By Erofex and Lattus. Featuring Shove, Erofex, Lattus, Le`guide, Deep South, Airffect, Cyber Baller and some amazing colaborations. Felicidades por esta excelente y movida producción q contiene material sudamericano (al fin algo no de Brasil…:=) Adelante….y saludos desde Ecuador! THIS IS A MASTERPICE OF PSYTRANCE, FOR THOSE WHO SEE THIS ,I WILL RECOMEND NEUROTRANCE RECORDS MUSIC ,IS ALMOST MAGIG FULL OF ENERGY AND POSITIVE VIBES ,PROUD TO BE FRIEND PF THIS AMAZING PSYTRIBE.